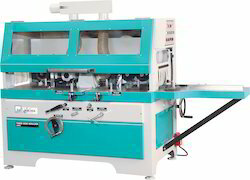 Prominent & Leading Manufacturer from Ahmedabad, we offer combined wood planer, combine planers, combi planer thicknesser, industrial thicknesser planer, moulders planer and powerful thicknesser planer. 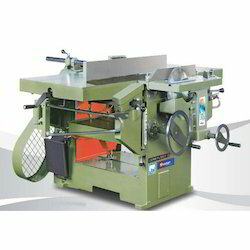 Length of surface table 1295 mm / 51"
Thickness capacity 177 mm / 7"
We are leading manufacturer of Combined Wood Planer. It is manufactured using quality raw materials and latest technology. Furthermore, these products are checked on various quality parameters to ensure its defect-free nature. Surface Capacity 610 mm / 24"
Thicknessing Capacity 177 mm / 7"
We are leading manufacturer of Combine Planers. It is manufactured using quality raw materials and latest technology. Furthermore, these products are checked on various quality parameters to ensure its defect-free nature. 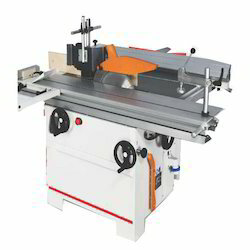 Up/Down Movement of Saw Table 610x305 / 24" x 12"
Max Circular Saw Diameter 75 mm / 3"
We are engaged in offering our clients a superior quality range of Combi Planer Thicknesser. We design the given product following industrial standards by making use of best quality material and modern technology. 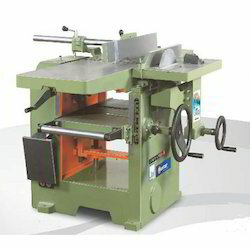 Max Planing Width 455 mm / 18"
Thickness Capacity 228 mm / 9"
Length of Thickness Table 915 mm / 36"
Minimum Length of Workpiece for Thickness 254 mm / 10"
Cutter Block Diameter 120 mm / 4.72"
We are engaged in offering our clients a superior quality range of Industrial Thicknesser Planer. LH/RH Vertical Moulding Block Max Thickness 125 mm / 5"
LH/RH Vertical Moulding Block Up-Down Movement 40 mm / 1.575"
Size Of Dust Collection Port Diameter 100 mm / 4"
Minimum Working Thickness, Width 12 x 40 mm / 0.5" x 1.575"
Maximum Working Thickness, Width 150 x 230 mm / 6" x 9"
Minimum Length Of Work Piece 455 mm / 18"
Work Table Size 1640 x 635 mm / 64.5" x 25"
Extension Table Size 800 x 500 mm / 31.5" x 20"
Top Cutter Block Max. 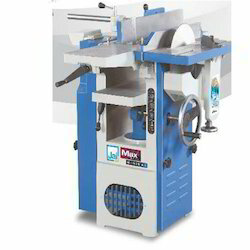 Diameter x Bore Size 125 x 40 mm / 5" x 1.575"
Top Cutter Block Up-Down Movement 150 mm / 6"
LH/RH Verticle Moulding Block Max. 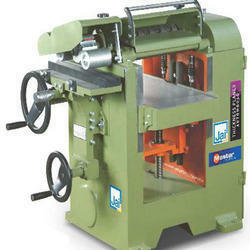 Diameter x Bore Size 175 x 40 mm / 7" x 1.575"
We are leading manufacturer and supplier of Moulders Planer. It is manufactured using quality raw materials and latest technology. Furthermore, these products are checked on various quality parameters to ensure its defect-free nature. Cutter Block Diameter 95 mm / 3.75"
We are leading manufacturer of Powerful Thicknesser Planer. We design the given product following industrial standards by making use of best quality material and modern technology. 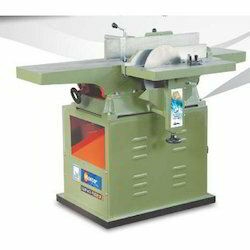 We are leading manufacturer of Surface Planer Machine. 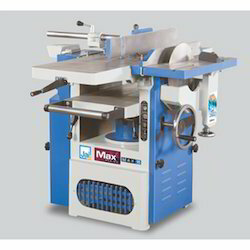 It is manufactured using top quality materials and latest technology and tested under various quality parameters. 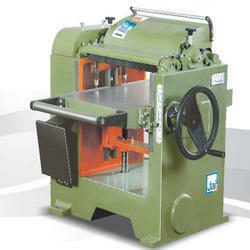 We are leading manufacturer of Industrial Combi Planers. It is manufactured using quality raw materials and latest technology. Furthermore, these products are checked on various quality parameters to ensure its defect-free nature. Max. 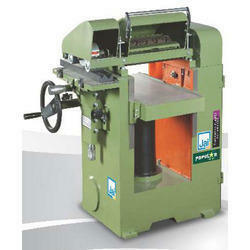 planing width 465 mm / 28"
Our firm is involved in manufacturing and supplying a huge range of Portable Thicknesser Planer. We design the given product following industrial standards by making use of best quality material and modern technology. Surface Capacity 330 mm / 13"
We are leading manufacturer of Surface Planers. It is manufactured using quality raw materials and latest technology. Furthermore, these products are checked on various quality parameters to ensure its defect-free nature. 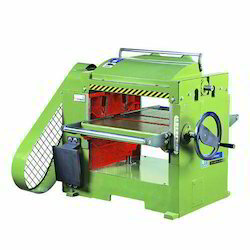 Rebutting capacity 13.5 mm / 0.5"
Our firm is involved in manufacturing and supplying a huge range of Power Combi Wood Planer Machine. We design the given product following industrial standards by making use of best quality material and modern technology. 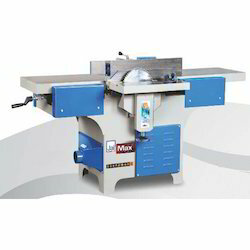 Max.planing width 465 mm / 18"
We are leading manufacturer and supplier of Open Stand Combi Planers. It is manufactured using quality raw materials and latest technology. Furthermore, these products are checked on various quality parameters to ensure its defect-free nature. 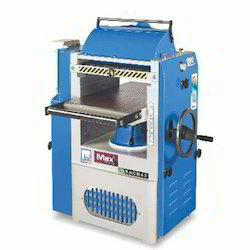 Surfacing Capacity 254 mm / 10"
Length of Thickness Table 635 mm / 25"
We are leading manufacturer and supplier of Combi Wood Planer. It is manufactured using quality raw materials and latest technology. Furthermore, these products are checked on various quality parameters to ensure its defect-free nature. 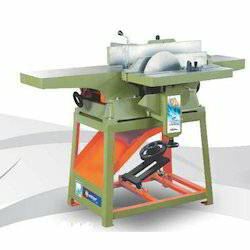 We are leading manufacturer of Thicknesser Planer. 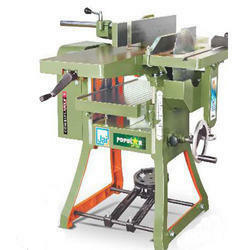 It is manufactured using top quality materials and latest technology and tested under various quality parameters. Length of Thickness Table 815 mm / 36"
Our firm is involved in manufacturing and supplying a huge range of Thickness Planer Machine. We design the given product following industrial standards by making use of best quality material and modern technology. Length of surface table 1220 mm / 48"
Our firm delivers precisely tested and a high-grade assortment of Industrial Surface Planer. 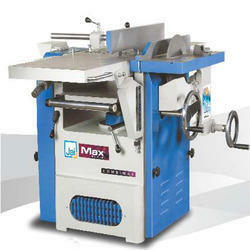 It is manufactured using top quality materials and latest technology and tested under various quality parameters. Surfacing Capacity 455 mm / 18"
Cutter Block diameter 55 mm / 3.75"
We are leading manufacturer of Single Surface Planers. We design the given product following industrial standards by making use of best quality material and modern technology.